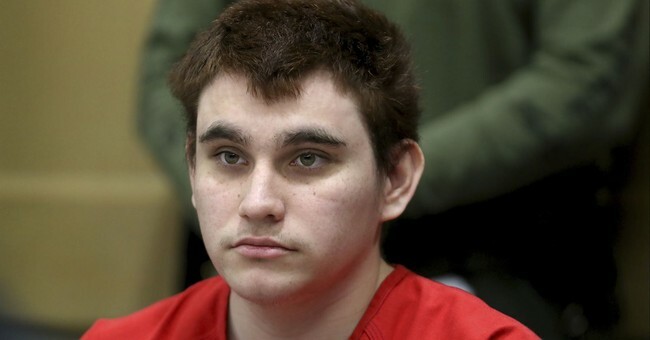 Parkland school shooter Nikolas Cruz registered to vote in Florida despite being behind bars. Now, the father of one of his victims is speaking out. Andrew Pollack, whose daughter, Meadow, died as a result of the shooting, is upset Cruz is able to vote. According to Pollack, Meadow would have turned 18 in October, making her eligible to vote for the first time on Nov. 6th. “To allow him to register to vote when my daughter can’t, it’s like sticking a big knife in my heart,” Pollack told Fox News. Cruz listed the Broward County jail as his address. Because the jail is listed as his "home address," he could qualify for an absentee ballot, although it's unclear how he voted. In Florida, those who are awaiting trial and those serving time for misdemeanors are eligible to vote. The state barred convicted felons from voting but voters approved a Constitutional amendment last week that would allow over one million felons to vote. The amendment is supposed to go into effect in January. Aren't you the fella who doesn't want sensible gun laws to prevent mentally unstable people from owning them? But now you want to use that tragedy to steal the vote from people who haven't been convicted of a crime. But he made his amazement known. It's sad that we even have to debate whether or not criminals should be allowed to vote. Having a say in our political process is something that deserves to be preserved and protected to the law-abiding. Anyone who can say that people like Cruz should be allowed to vote should have to look at parents, like Pollack, in the face and tell them that. Not behind a computer screen. Not through text. But in face. How many of them would suddenly change their tunes?